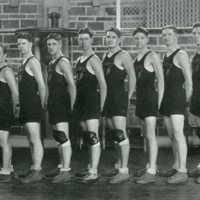 A glimpse of student life at any university would be incomplete without addressing the role of athletics and intramural teams. 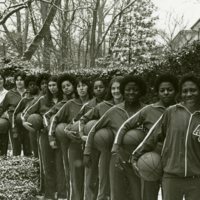 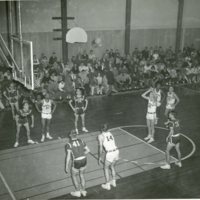 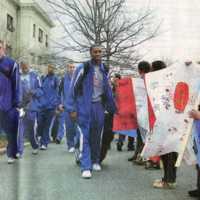 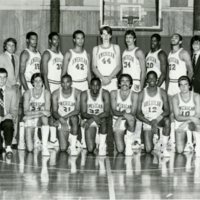 American University’s organized sports present a varied history. 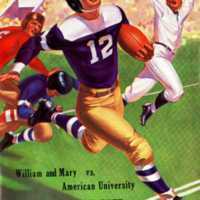 Intercollegiate teams at American included basketball, football, tennis, boxing, baseball, wrestling, swimming and diving, soccer, track. 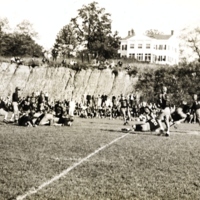 Regardless of the sport, both participation in and support of campus teams fostered community among students, faculty, and staff.